Who doesn’t love a good board game? 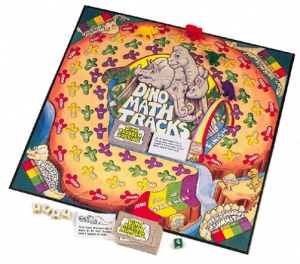 If you read my post Can Board Games Make Maths More Fun? 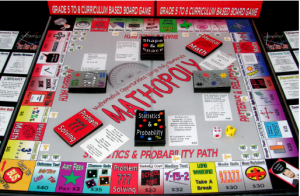 A Review you’ll know that I’m a big fan of using board games to make math more fun. One of the coolest things about my little ones’ school is that parents and kids can borrow math board games from the school library to take home or play there and then before school starts. I’ve seen 3 year olds learning the basics of fractions and 7 year olds building confidence in their arithmetic facts, all with great big smiles on their faces! Board games are a great way to make math practice painless. 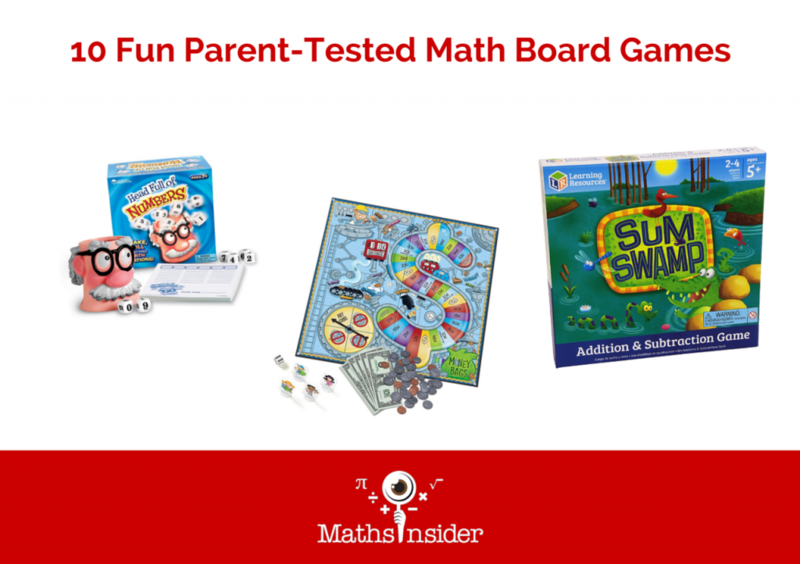 For those of you fellow board games fans, here are 10 recommended math board games, along with what parents have to say about them. Enjoy! This game board is a clever take on the classic board game Monopoly, but with math in every action. Roll the dice and move to a square to answer or figure out one of the curriculum standards-based questions to “own” the property. 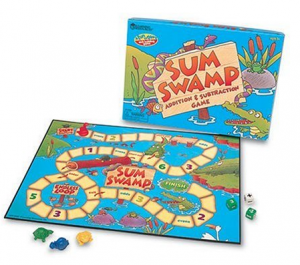 Add and subtract your way through the swamp. 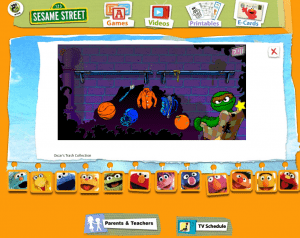 Young children get to practise their essential arithmetic facts while having fun. 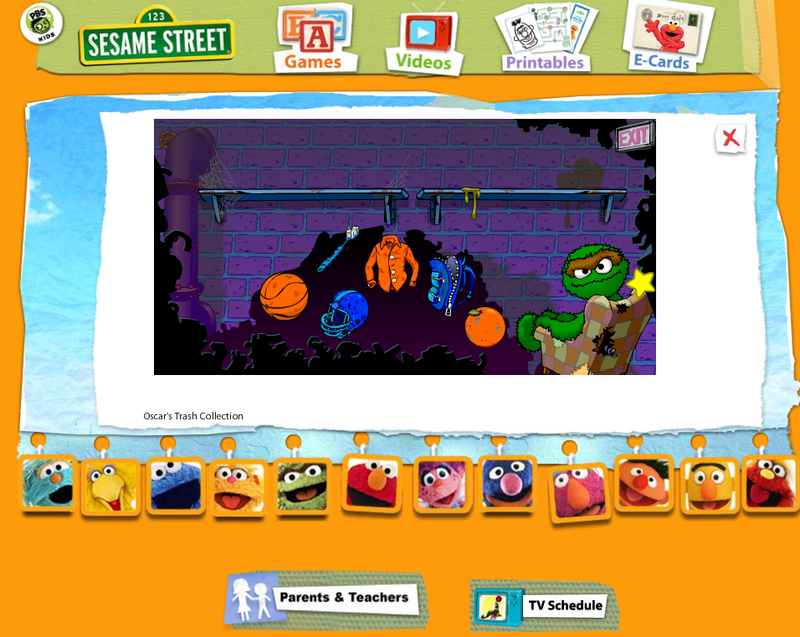 This game received an Oppenheim Best Toy Award. If your eight year old likes crosswords, this game will be a hit. Making equations can be a challenge. 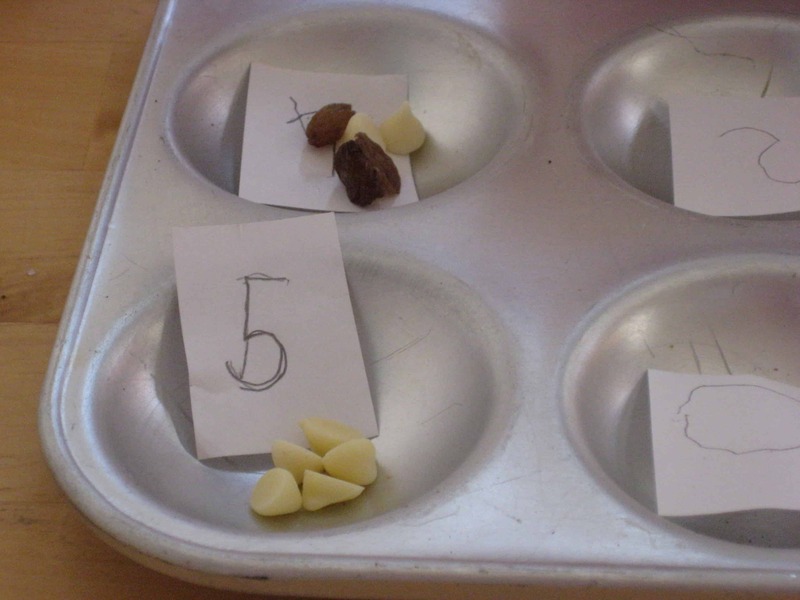 Eight year olds can begin making equations using addition and subtraction but older children can get more points using division or fraction tiles. 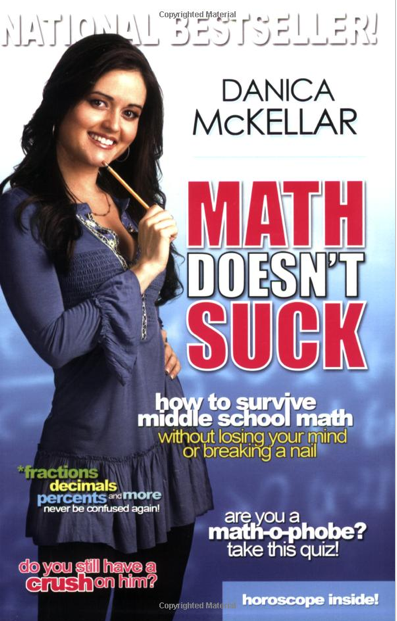 What parents say “It’s given my daughter great self-confidence in Math. Only complaint:The tiles are cardboard and thin. 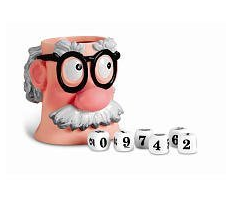 Easy to lose, but they come in a ziploc type bag.”—Elizabeth M.
Shake the “head” cup to roll the dice. Set the sand timer. Write as many equations from the numbers and symbols on the dice before sand runs out. Good for any number of players and level. This is an Oppenheim Toy Portfolio Gold Seal Award Winner. 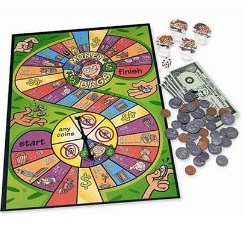 The brightly colored cards have questions and the answers are printed on the game board. Place a tile on the answer. With five in a row, you have a Sequence! This bingo-like game is great for ages seven and older. 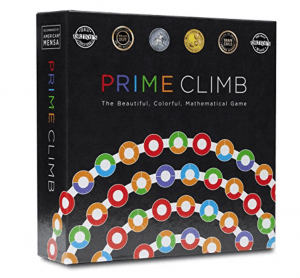 What parents say “Thus, whether you use the game cards or make up your own more challenging cards, this game will be fun as well as educational for your smart pre-schooler, your struggling grade-schooler, or even your genius middle- or high-schooler.” –Joan A. This game makes making change so much fun! Earn money while completing chores, like setting the table or for selling lemonade. The spinner makes exceptions such as, no nickels to make sure kids make use of the higher value coins. Monet bags is great for developing critical thinking and counting/coin sense. Better be hungry for pizza as you play seven games in one! 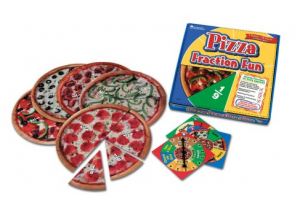 Identifying, adding and subtracting and matching equivalents help make making pizzas and working with fractions fun. The double sided spinners allow the difficulty level to be easily adjusted. Dinosaurs rule with place value. Roll the dice to make four digit numbers. Get your dinos to their base before other players do. An Oppenheim Toy Portfolio Gold Seal Award Winner. 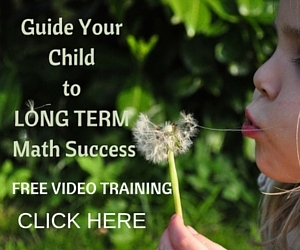 What parents say “ Good concept and she is learning without even knowing she is doing math. ”—G.K. 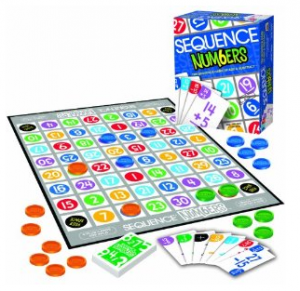 Play five different versions, including a solo one, of this addition/multiplication game. Set tiles up crossword style to add up to multiples of the number on a die. 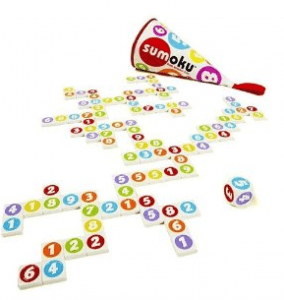 Connect all the numbers for a complete Sumoku! 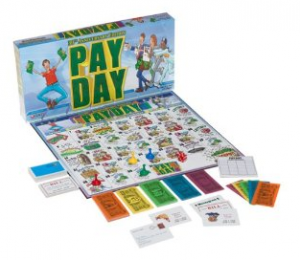 Family finance is fun in Pay Day. Get paid and decide how to spend your money. Whoever has the most money at the end of the game wins. 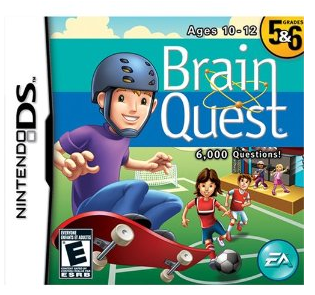 This classic game is for suitable for ages eight and up. 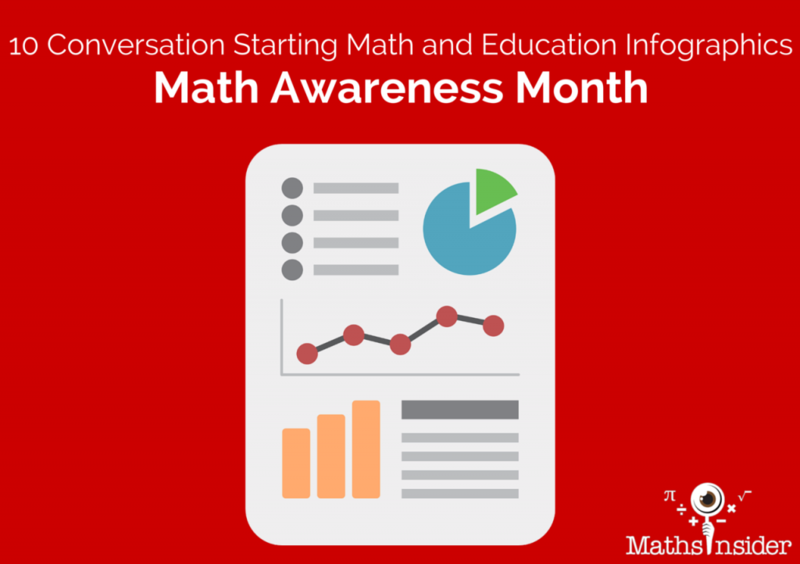 Have you played any math board games recently? Which are your favorite ones? Arthur Benjamin, is a mathemagician who has entertained audiences around the world both live and through his entertaining mathemagic performance at TED. 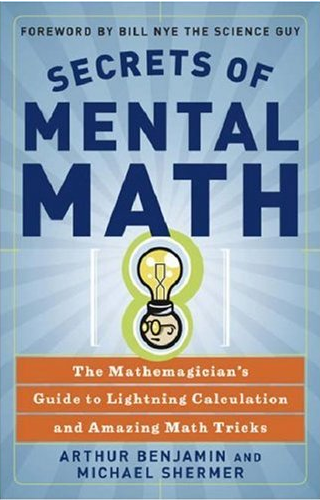 He’s teamed up with Michael Shermer to reveal in this easy to read book, some of the secrets behind his lightening fast maths tricks! Buy Secrets of Mental Math for $10. 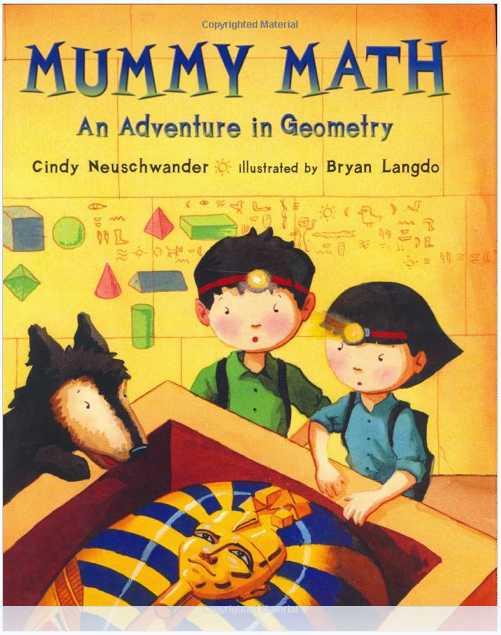 Great for fun for kids aged 7+, the Mummy Math book takes kids on a maths adventure, where they use their geometry skills to solve clues leading to the secret burial chamber; “Matt, Bibi, and their dog Riley crawled through the tiny opening first. FWUMP! 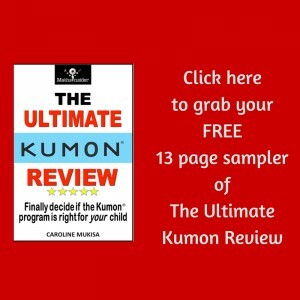 A secret door suddenly closed behind them . . .” Mummy Math is great value at just $7. 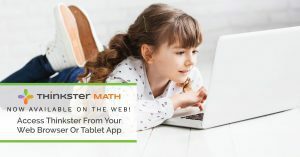 The hottest educational toy of this holiday season, this cool kids tablet has been dubbed “an iPad for kids.” Apps can be downloaded from the Leapfrog App Center, including maths games which adapt to your child’s ability. Parents can also track their child’s progress using the online parent’s dashboard. 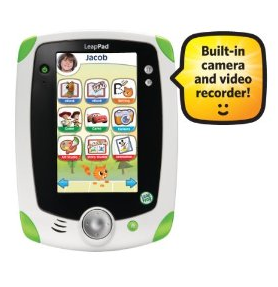 For more details and features, read this full LeapPad Explorer review. You can pick up the LeapPad Explorer Tablet for $99. 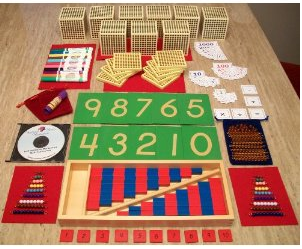 This beautifully crafted Montessori maths kit contains instructions and worksheets on CD as well as these classic Montessori materials. 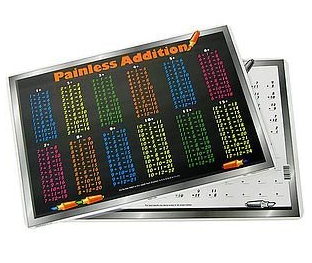 Great for hands on maths learning! Get inspired by checking out the photos on Amazon of kids actually using the equipment. This luxury Montessori Math Kit is $150. 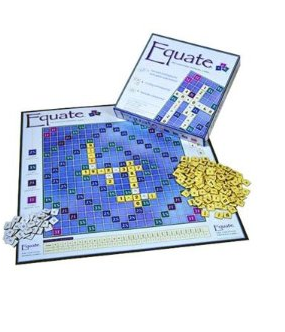 An algebraic version of Scrabble. A nice way to introduce older children to the concept of equations and algebra. 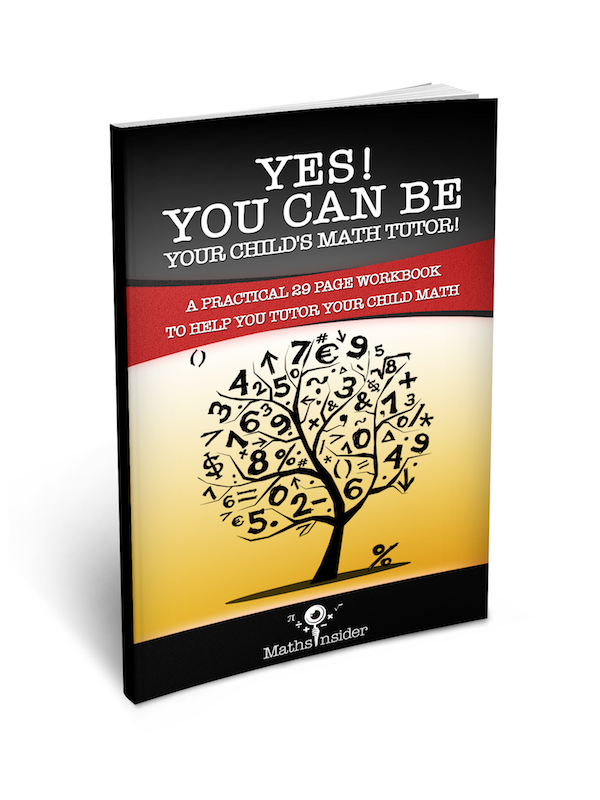 “Learn simple stuff (like what division is) and more sophisticated ideas (like the order of precedence among arithmetic operations).” We’ve got this in our house, and I can testify that this is much more fun than a workbook full of questions! 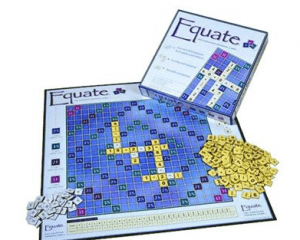 You can share Equate for $20. Oh my! This is too cute! 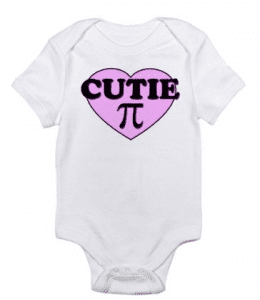 I’ve seen some clever mathsy body suits with lots of equations on them, but this simple statement trumps them all! 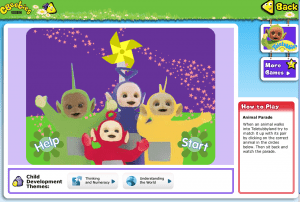 Brainwash the babies in your network into some early maths loving! Available for $16.50. 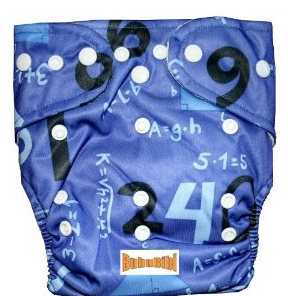 These math diapers are another cute math gift for the youngest members of your network. The waterproof diapers come with snap front poppers which make the waist adjustable, so one size fits all. 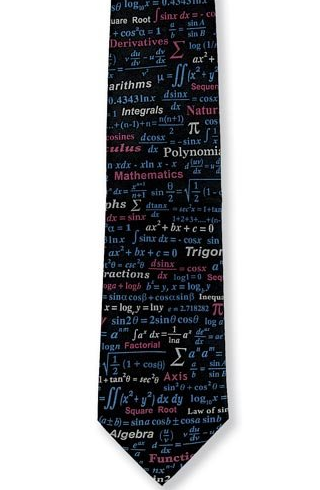 Another great value maths gift at $12. 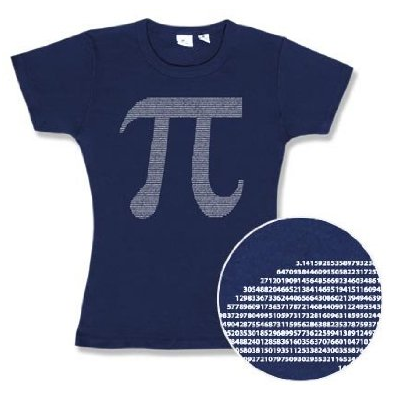 This pi women’s cut T-shirt would make a cool gift for a maths teacher, and it’s made of pre shrunk cotton too! The pi symbol is made up of the actual digits of pi (no- not all of them!). This math cool T-shirt is $20. My fantastic departmental head at the first school I taught at, had the most amazing collection of quirky earrings! I’m not sure if there’s an earring version of this pewter Fibonacci Pendant Necklace but this still makes a nice gift for us lady mathematicians. 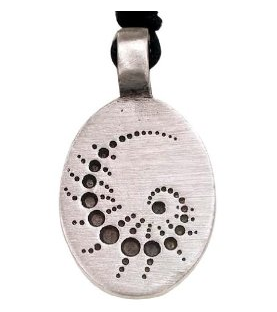 This Hypo-allergenic Fibonacci pendant is on sale for around $13. 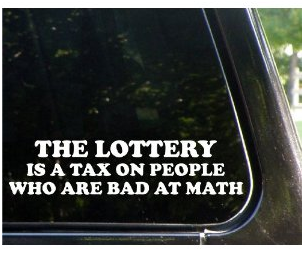 If you’re looking for a gift for someone who’s a fan of witty car stickers, then this die-cut car sticker would make a cool low price gift retailing at just $5. 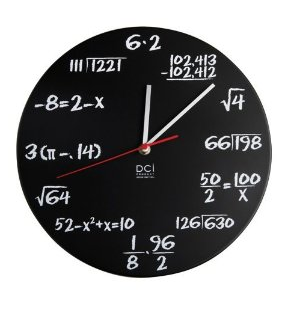 With an 11.5″ diameter, this medium sized math clock contains enough high school math to get keep all but the most math phobic happy. 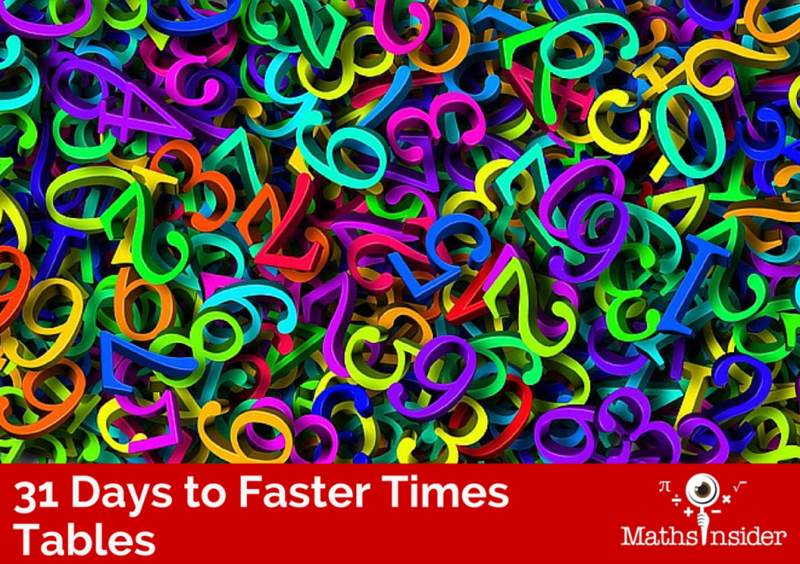 The answers to the sums determine the hour. 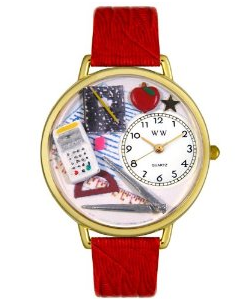 Made from lightweight black matte metal, this Math Clock is a great buy at $23. You can’t go far wrong by combining math and chocolate in my eyes! 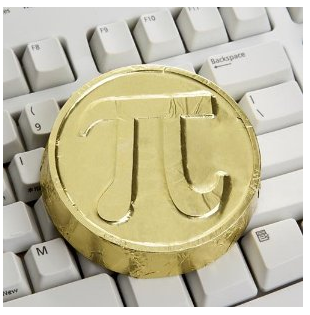 Enclosed in the super shiny wrapper, you get ¼ pound of smooth gourmet milk chocolate in the shape of the cool mathematical symbol, pi. 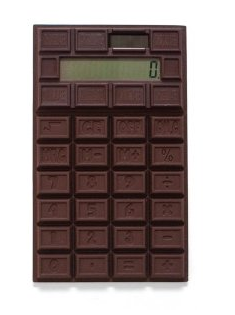 This yummy bar of Gourmet Math Chocolate is now half price at $9.99. Which is your favourite gift on this list? 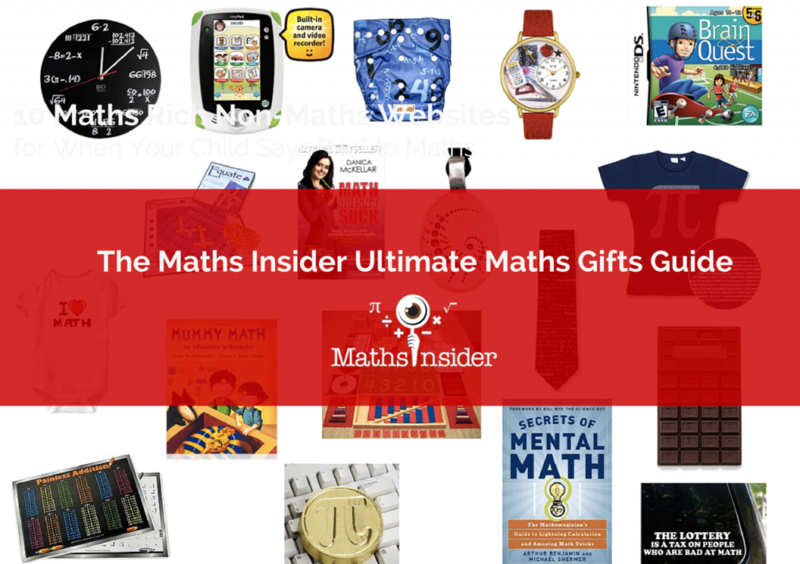 Don’t forget to click like below and share this math gift guide with your friends. Who knows what you might get in return? Your child finds maths easy and comes top in all their maths tests at school, great news! So what can I do if you think your child is gifted at maths? 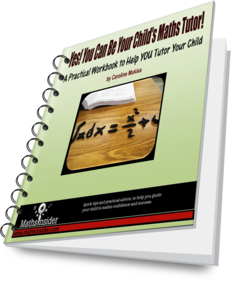 Generally, as a parent, make sure that you chat to your child’s teacher as soon as you think they may be finding their school maths too easy. Not all schools have a gifted program, but your child’s teacher may be willing to give your child different (not more) work within the class. 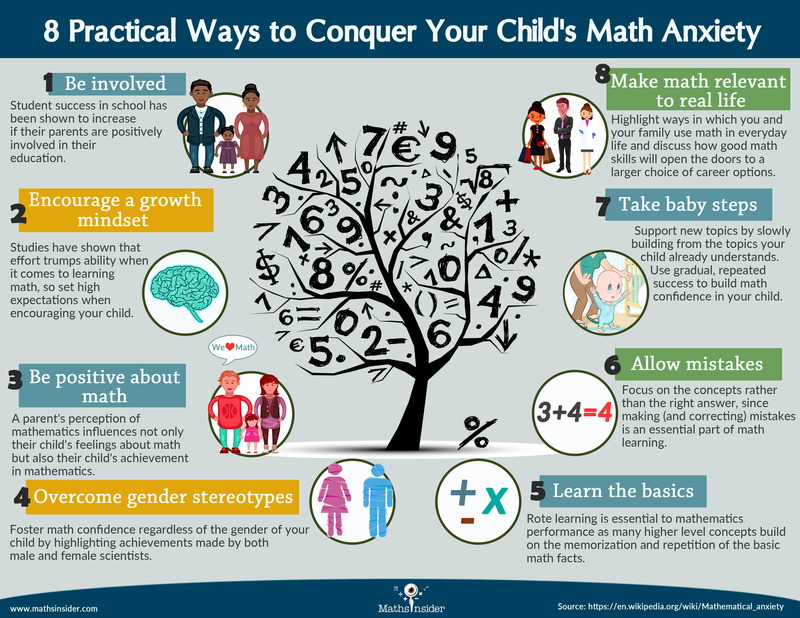 Also be aware that although your child may shine at mental maths or algebra, they may have weaknesses in their problem solving skills, or with maths that requires spatial skills such as geometry. 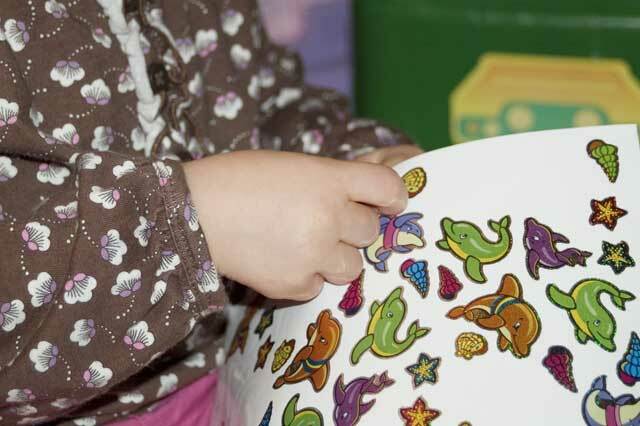 With any work you do at home with your child, try to give plenty of opportunity for your child to explore such problem areas. 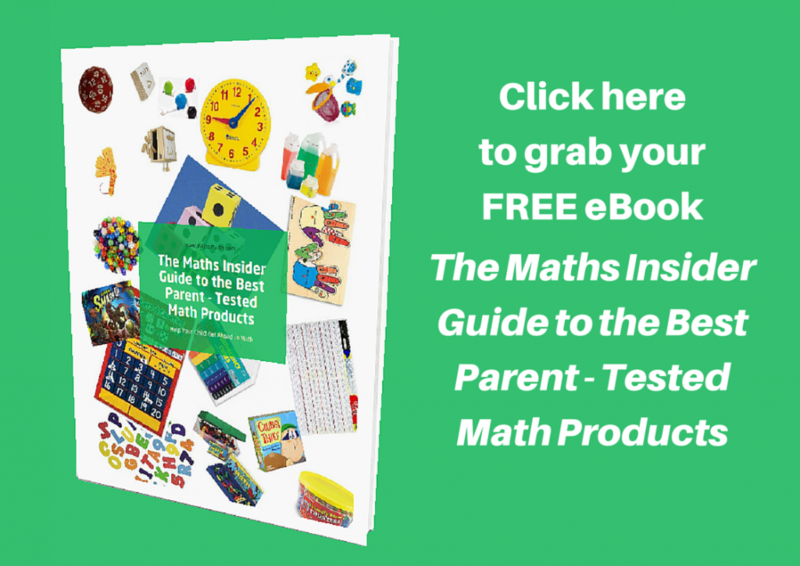 It’s also important to encourage your child to experience the non academic side of maths. 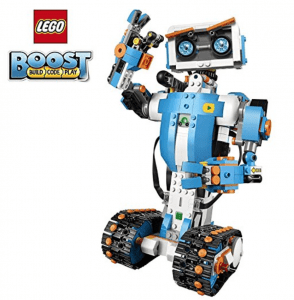 Explore how maths links to other subjects such as art, science, history and engineering design. What resources can I use to support my gifted child? NRICH is a joint project between the Faculties of Mathematics and Education at The University of Cambridge (where I did my teacher training!). 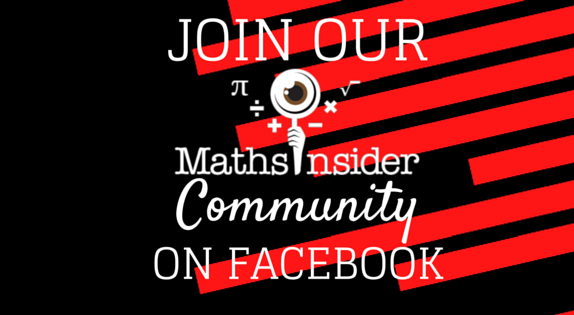 It provides interactive maths challenges, weekly maths puzzles, maths games and a forum, all focused on offering “enrichment” activities to students. Project Euler is a series of challenging mathematical/computer programming problems that require more than just mathematical insights to solve and are aimed at among others “students for whom the basic curriculum is not feeding their hunger to learn, “. James Somers has an great article on how it helped him finally learn computer programming. There’s been a big debate amongst maths teachers and educators as to the merits of Salman Khan’s vast quantity of free online “chalk and talk” maths videos, but many parents have successfully used this controversial resource to support their children’s maths learning, whether their child was gifted or not. My feeling is that anything that encourages students to strengthen their maths skills independently from school, can’t be all bad. 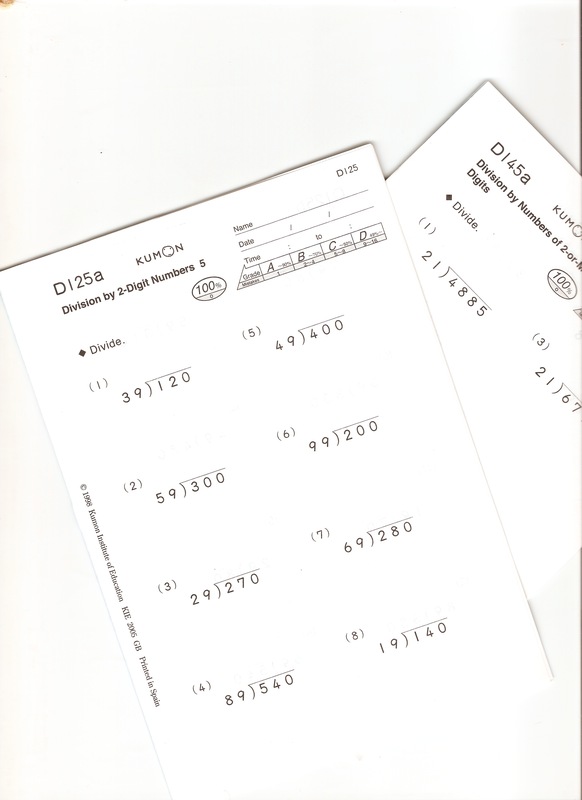 Both Maths-Whizz and Ten Marks offer online ability tracked maths programs. After initial testing your child is given work that suits their ability rather than their age and focuses on their weaknesses. Click here to see my video review of Maths-Whizz. Both programs offer free trials. 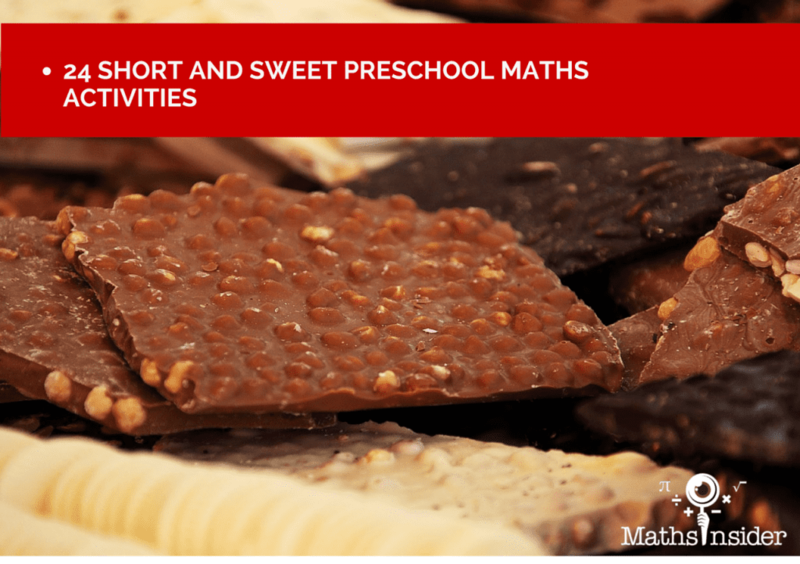 If you’re worried that your child may be too good at maths, make sure to communicate with your child’s teacher, focus on working on any problem areas and encourage recreational maths. Have you tried any of the resources? What did you think of them? 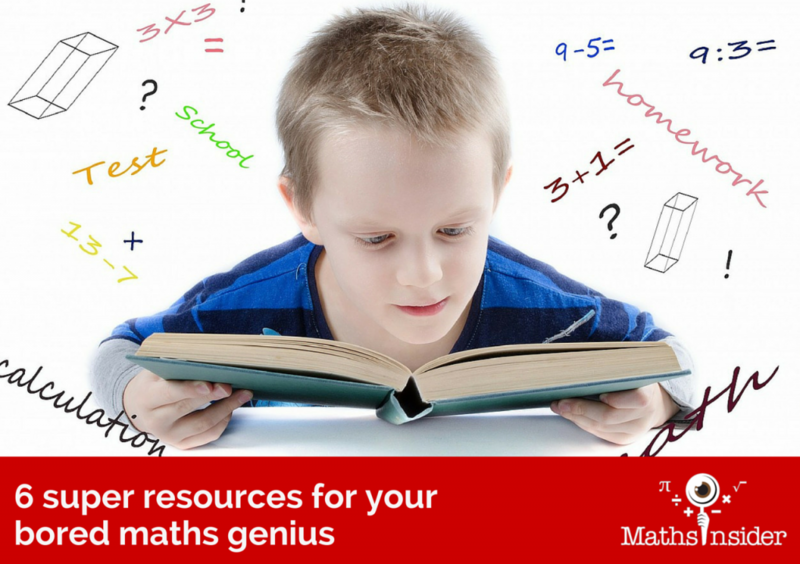 What other resources does your maths mad child like? 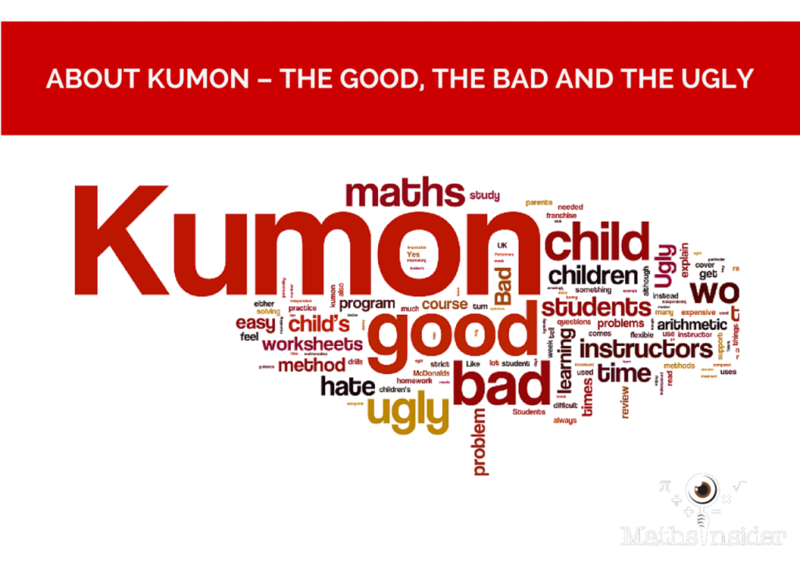 The results weren’t a surprise since I’ve spoken many concerned parents over the years as a maths teacher, a Kumon instructor and now as a maths blogger. 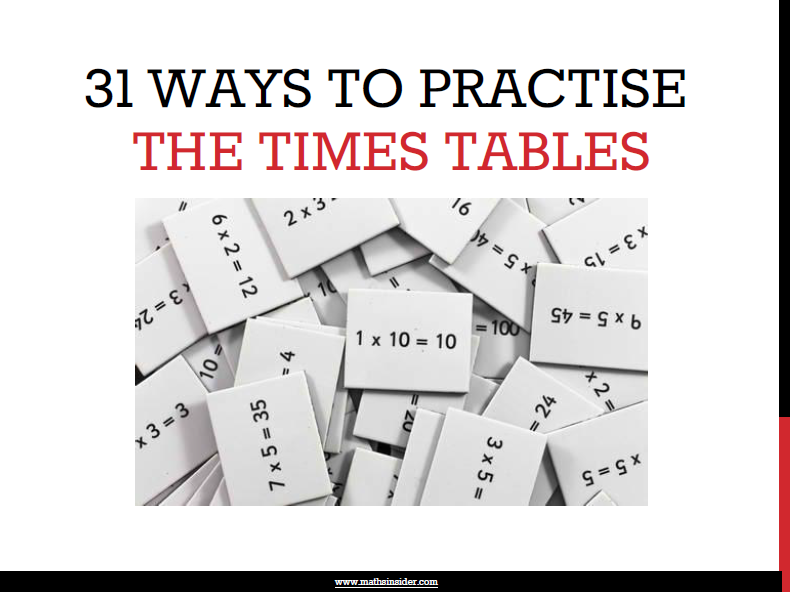 Many of you have children who have passed the milestone of learning their times tables, but there are others of you who are worried that the whole memorization process is taking too long, is time consuming and is stressful. 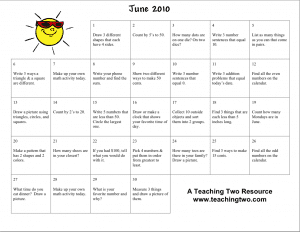 Do you want your child to achieve faster, more confident times tables? After listening to concerned parents and seeing what was already available on the market, I’ve developed a product that will help you guide your child to faster, more confident times tables in just 31 days. Who needs to buy this? 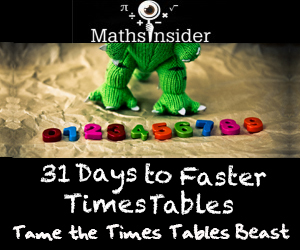 The 31 Days to Faster Times Tables program is a mixture of worksheets, audio and practical activities, so if your child needs to spend time designing their online avatar before they’ll even consider doing any maths, then this product may not be for you. I’ve even included a crazy 60 day money back guarantee, so as my 11 year old would say, go and check it out already! As patient and loving parents we can deal with the long pause, but, if after that the answer is still wrong, then we wonder what have they been learning at school for the past 2, 5, or even 10 years! Have they never studied mental maths? 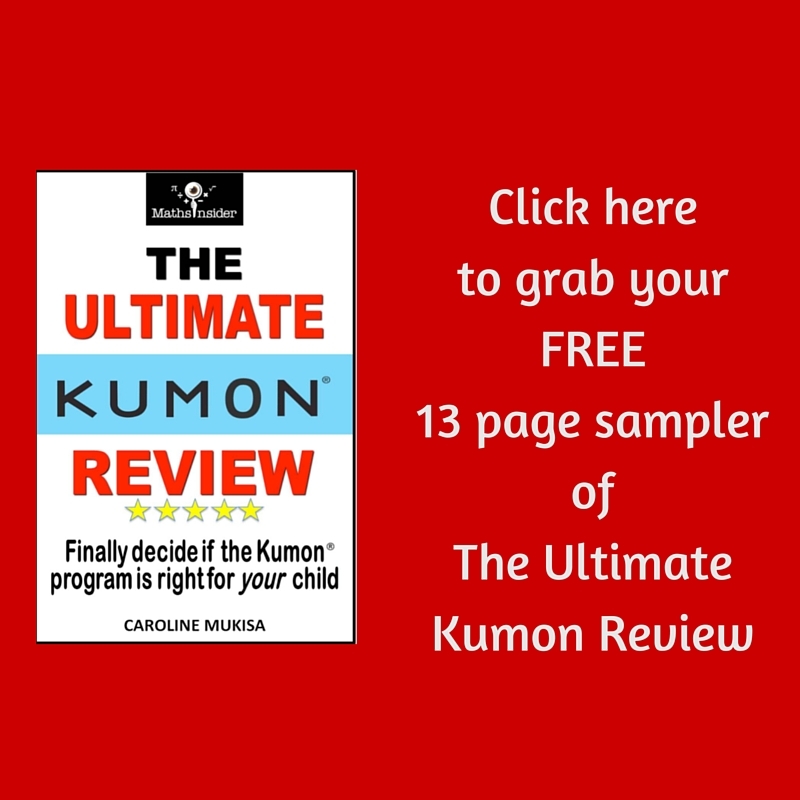 In this series I will show you what you (yes you, not the tutor, not their teacher, not the local Kumon centre) can do to rescue the situation. 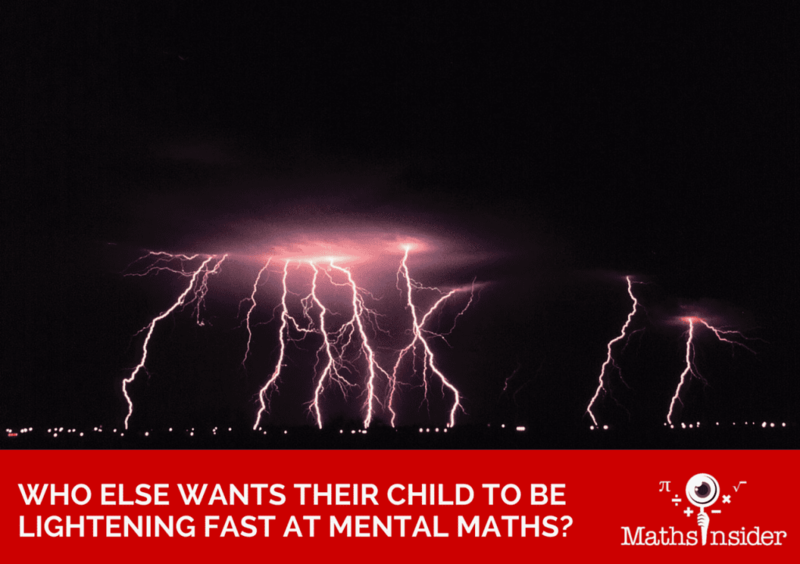 If you can set aside 2 minutes a day for at least 4 months, your child’s mental maths problems will slowly but surely melt away. Before we get started, make sure you’ve read my post about the importance of daily practice. Don’t worry, I’ll be there to hold your hand (and I’m hoping others will share their mental maths strategies as well). Want to know what’s coming up in the rest of the series? Part 1- Where do I start? Part 2- Where can I get questions from and how do I use them? 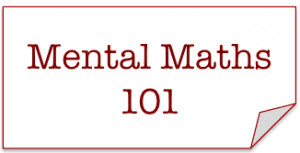 Here you’ll find some links for mental maths resources and I’ll show you how best to use them. 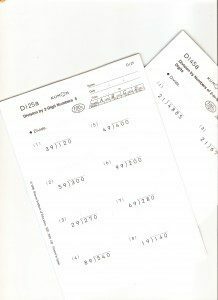 I’m looking forward to you using the comments box below to share which mental maths strategies have worked well with your child?